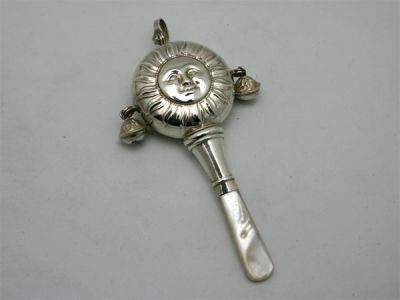 Whimsical sterling baby rattle with a depiction of a comical sun. Attached at each side are bells and there is a mother-of-pearl handle. Trademark "NWJ," Birmingham, circa 1988.